Creating a highly motivated workforce is crucial for a company in order to ensure high productivity and therefore contributes to the overall success of a business. Developing an appropriate leadership style is mainly based on the field of psychology, which considers values, feelings, and expectancies of individuals. The way of motivating individuals, however, differs from culture to culture. In order to successfully manage a Mexican workforce, it is indispensable to consider the significant differences that exist between leading and motivating workers in Mexico and, for instance, in a counterpart company in Germany. Management that respects and acknowledges the central position of the family within the Mexican culture is more likely to succeed in motivating its workers in Mexico. The term “family” in this context does not only refer to an employee´s direct family members. Often workers consider their boss as a member of their extended family group, where the supervisor takes on a paternal or maternal role and is expected to “care” about his or her subordinates on a more personal level. It is therefore extremely important for a Mexican worker to receive acknowledgement and gestures of appreciation from his or her supervisor. A further aspect which should be taken into account when leading Mexicans is the importance of establishing a positive manager-employee relationship. In order for a Mexican employee to respect and value his supervisor´s instructions, it is essential to focus on creating mutual trust. While workers in European countries tend to have the ability of separating personal matters from those that relate to work, Mexicans usually don´t draw a clear line between the two. 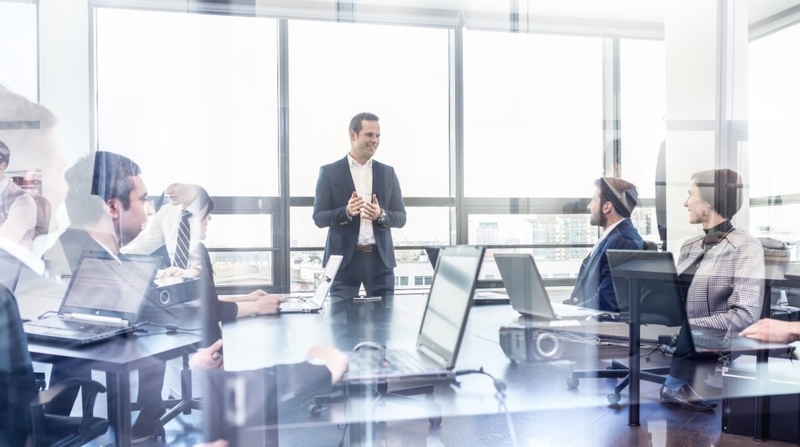 They are rather reserved when it comes to expressing criticism, which is why a leader should be conscious of the feelings of his or her Mexican employees when addressing differences in opinion. The relationship between manager and subordinate is considered mutual: Since hierarchy is highly valued in Mexico, a manager can expect loyalty. In return, he should be sensitive to the interests of his subordinates. The term “Leadership style” generally refers to the manner in which a person uses power to direct others. When developing a leadership style, a manager needs to consider what his employees expect from him or her as a leader as well as what is historically and culturally expected. Although Mexico has undergone a change towards a more opened and globalized economy over the years, Mexican employees are usually still tolerant of a top down, autocratic leadership style. They do not only accept, but also expect an unequal power distribution. In Mexico the leader is expected to direct his employees in a more “hands-on”, proactive kind of way. Professor Geert Hofstede carried out one of the most extensive studies with more than 110,000 IBM employees at the end of the 1960s. He analyzed how values within the workplace are influenced by culture. He defines culture as “the collective programming of the mind that distinguishes the members of a group or category of people from others”. The Hofstede model consists of six dimensions. The cultural dimensions represent preferences that distinguish countries, and not individuals, from each other. These six dimensions are: Power distance, individualism vs. collectivism, uncertainty avoidance, masculinity vs. femininity, long-term orientation, and indulgence vs. restraint. Especially the dimensions of power distance and indulgence vs. restraint can serve managers as orientation for the development of an appropriate leadership style in Mexico. Power distance is defined as the extent to which fewer powerful members of an institution and organization expect and accept that power is unequally distributed. The United States are a country with relatively low power distances. In contrast to Mexico, a direct and participatory style of discussion and communication is common, in which employees have extensive rights of appointment. Mexicans, on the other hand, accept a hierarchical order that requires no further justification. This cultural dimension refers to the extent to which people try to control their desires and impulses. For most people, this is based on the way they have been educated. Relatively weak control within a culture is called “indulgence” and relatively strong control is called “restraint”. The US culture is rather reserved in its nature, whereas Mexico has a clear tendency to indulge. Within an US American company, employees and managers do not tend to attach much importance to leisure time and hold back their feelings within a professional environment. Mexicans, on the other hand, see greater value in leisure time and are generally more willing to follow their impulses and desires. With many years of experience and presence in Mexico, WMP Mexico Advisors is exactly the right contact for the topic of leadership and motivating employees. Would you like to find out more? We will be happy to advise you!